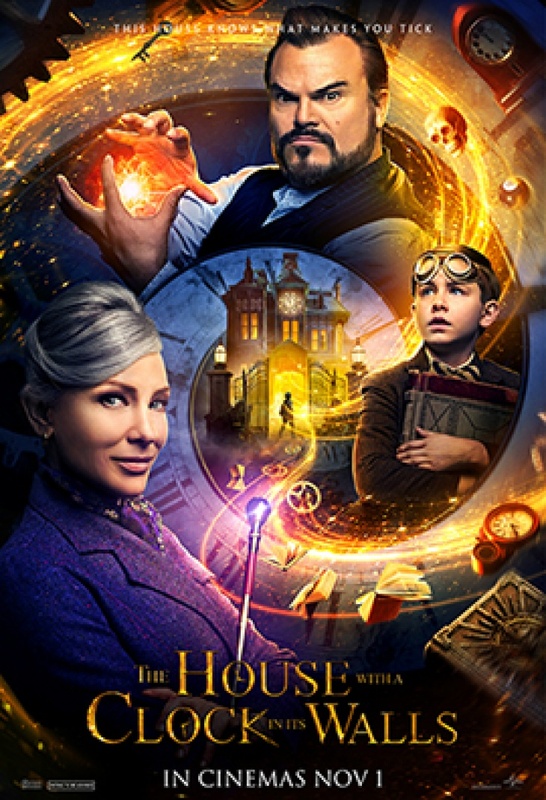 The magical adventure tells the spine-tingling tale of 10-year-old Lewis (Owen Vaccaro) who goes to live with his uncle in a creaky old house with a mysterious tick-tocking heart. But his new town’s sleepy façade jolts to life with a secret world of warlocks and witches when Lewis accidentally awakens the dead. Based on the beloved children’s classic written by John Bellairs and illustrated by Edward Gorey, The House with a Clock in Its Walls is directed by master frightener Eli Roth and written by Eric Kripke (creator of TV’s Supernatural).